Last beer for this visit to York, was in the Swan. 4.8% black colour with a good head, roast malt aroma and taste. 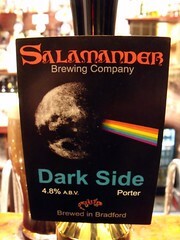 Salamander make that many different beers I think they must just give every new brew a new name.